Great Place to Work and FORTUNE have honored HubSpot as one of the 2018 Best Workplaces for Women. The ranking considered more than 540,000 employee surveys from Great Place to Work certified companies and evaluated their experience at the company. These included the extent to which employees, particularly women, trust leaders, the respect with which people are treated, the fairness of workplace decisions, and how much camaraderie there is among the team. Rankings are based on employees’ feedback and reward companies who best include all employees, and where women have equally great experiences as employees of other genders, no matter who they are or what they do for the organization. We’re excited to announce that HubSpot took the #18 spot on the list thanks to employee reviews and feedback. At HubSpot, we're proud to employ a workforce that includes remarkable women at every level of our organization and we’ve made meaningful progress to improve gender diversity at HubSpot long term. 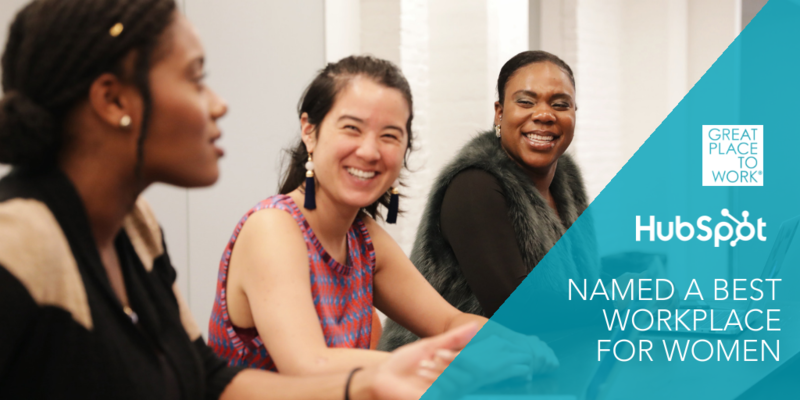 We see this award as recognition for our continued dedication to building a supportive and inclusive workplace for women where they feel comfortable to come to work today, are empowered to do their very best, and are supported in growing their careers. 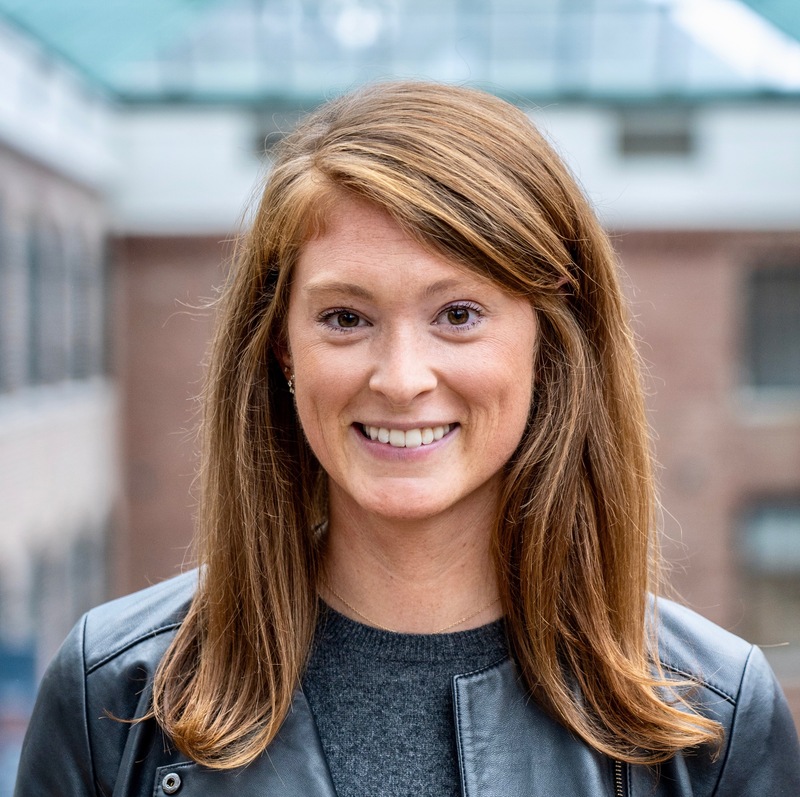 An integral part of building an inclusive culture is our employee resource group Women@HubSpot run by Ashley Jeffress. The group implements initiatives and programming that aim to support and empower women in tech and support their professional development. Not only do we put energy and resources into supporting and growing Women@HubSpot, but also encourage inclusivity within the group. One way we’ve done this is by having our SVP of Engineering, Eric Richard, be the co-executive sponsor of Women@HubSpot. Not only does this give senior leaders more visibility into the conversations and issues our employees face, but also drives home the key message that diversity can only be achieved through inclusion of all. In addition to our Women@HubSpot programming, we support our female employees at various stages of life through our benefits and commitment to flexibility. Earlier this year, we increased our parental leave policy to 16 weeks of paid leave, extended back up care options, and introduced family planning benefits offering financial support to female employees who choose to freeze their eggs. Thank you to our employees for creating a company culture with strong, influential and remarkable women. While proud of the progress we’ve made, we recognize this is truly just the beginning of what we’re capable of as a company. 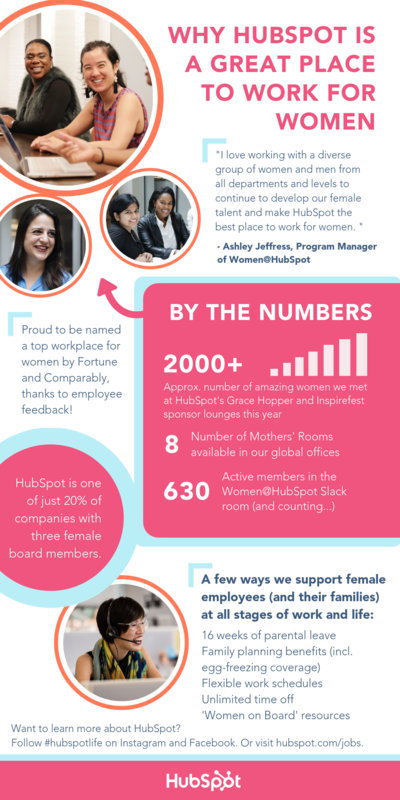 Check out some of the reasons why HubSpot is a great place to work for women below.